This just in: 2016 isn't the flaming garbage heap we'd formerly been led to believe it was. In the past, you could stream Amazon Video offline for your viewing pleasure, but now Netflix shows can also be downloaded for offline viewing — which means everything is 50 shades of wonderful. If you like watching Netflix in your bed, imagine how much more you're going to enjoy it in places where you have a so-so wifi connection at best. That once arduous one-and-a-half hour commute to work is going to become your time to binge watch Narcos; your boring lunch break reading old gossip magazines in Starbucks is going to become your quality time with Rory and Lorelai and don't even get me started on what this is going to mean for that sucky layover when flying home for Christmas. Let's just say you're going to be able to give Uncle Max a run for his money when he quizzes you on entertainment in your annual family game of Trivial Pursuits. The question, of course, remains: what show do you pair with which wifi-free destination? Take my hand as I guide you to a brave new televisual frontier: TV, minus your wifi. TV, plus a view. In short: your favorite TV provider but a bajillion times better. Remember how much Luke resented his customers using his wifi? Everybody has a local diner plus grumpy diner owner in their lives, and everybody would love to respect the charming curmudgeon in their life's personal boundaries when it comes to giving out their wifi password to customers who nurse little more than a bagel for a few hours. 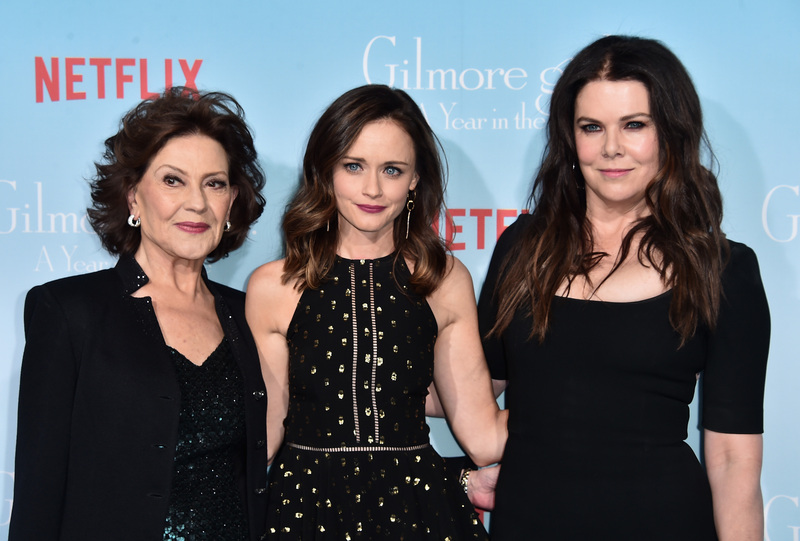 This way you finally get to watch Gilmore Girls the way Amy Sherman-Palladino intended: with easy access to fresh pots of coffee. In the parallel universe of Bojack Horseman, the Hollywood counterpart, "Hollywoo" functions almost as another character. It dictates the cast's ambitions, their self-loathing, and their drive to achieve. If you're fortunate enough to live in driving distance of the Hollywood sign, I can't think of anywhere more suitable for watching an episode of Bojack Horseman than sitting in the shade of the enormous sign. If you're familiar with the show, you'll know that many of the key scenes take place inside Pop's Barber Shop. Heck, we even first encounter our main character when he's sweeping up at the barber shop. This is an actual place in Harlem: head to 119th Street and Lenox Avenue to go watch Luke Cage in the most authentic place possible. So, if you want to take advantage of your Netflix account in an adventurous way, get downloading and head outside. TV has never been so immersive.